September 6, 2013 / P.J. For me, that’s pretty solid. I’m not much for distance. I usually max out at 250 or so, with a good throw. And being an inconsistent player in regard to how often I’m on a course, I’ll take that. But that 230 came with it going in the air a bit. Normally, that would be a drive that would go about 180-200 for me. I needed to throw more and see what I could do. Let me remind people that I am a low amateur. My rating, when I was a registered PDGA member, was barely over 700. And it took me years to get there. I’m not a big-armed pro or anything and I’m definitely below my counterparts in this review. I continued to chuck the disc, trying to see what happened when I yanked it, threw it well or had bad habits. There was a lot of forgiveness with this disc. When I released it right, it flew. I think this disc really fits non-powerful arms as when I had good form, I was pushing 250 and it held a solid straight line until the end, when it slowly dived off to the left (I’m a right-handed player). Over and over, it did the same thing. One thing I truly realized, however, was if you threw it with the disc facing the air too much, it really would go high. Though you could get a little distance, it dived off harder. It seems to me, this disc really needs to be kept low to get the job done. 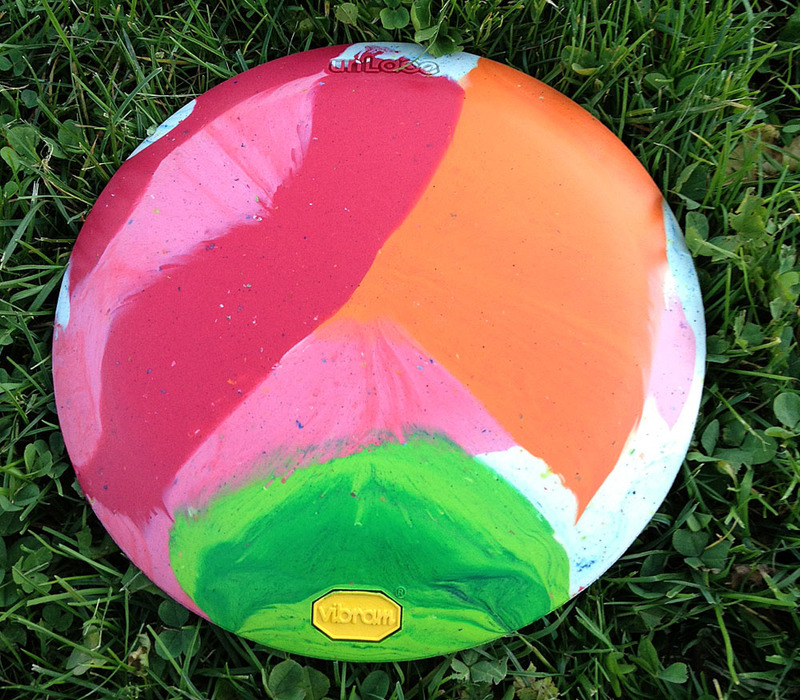 I loved the feel of this disc and it seemed a little more grippy than normal Vibram discs. I didn’t seem to griplock it all too much, which is nice because, for some reason, I tend to do that with distance drivers. It seems like Vibram really parked this disc as it’s not just something a high-powered arm can use, rather it’s a nice disc that beginners can use and be able to throw longer distances, which is something we all can probably handle. I finally know what it is like to have a big arm. At least, that’s all I can feel when I am picking up the Vibram unLace and getting ready to send it down the fairway. Fast as hell, understable, and easy to throw with little power, the unLace is a pure bomber for the noodle-arm set. Without sounding hyperbolic, this disc has added a good 20 to 30 feet on top of my usual distance drives that are normally thrown with a Latitude 64 Fury. Now, this means that I am getting drives out into the 320-330 foot range — not big by any stretch of the imagination — but it has made a significant difference in my game in just a few short rounds. Case in point: My home course, Kit Carson Park in Escondido, California, sports three par-4 holes that range in distance from 470-500 feet. In the past, if I wanted to birdie these holes, I needed to crush a drive, be accurate with a fast mid-range or power down on a fairway for my second shot, then make a 20- or 30-foot putt. Not impossible, but not always happening with consistency. Since adding the unLace to my bag for the purposes of this review, though, I have birdied each of those holes with ease. The extra distance from my drives is taking me out of the fast mid/long fairway range and is instead leaving me in the slow, predictable mid-range upshot territory. This has allowed me to put my second shot under the basket and walk away with a nice three on the scorecard. It is literally shaving strokes off my game. That’s not to say it is the be all, end all of discs. I have to back off the power, or add a lot of hyzer, to not make it turn over too far. I’ve lost it O.B. once or twice as a result, and I imagine that, for someone with more power, or sloppier form, the unLace would be an instant roller. Still, that can be extremely useful. Plus, dialing back the power isn’t always a bad thing. I can put this disc out pretty far with about 65 percent power, so it comes in handy for tricky standstill shots, or just shorter holes where you might want to save your arm. I imagine that, with more time spent manipulating release angles, this disc will prove to be even more versatile than it seems right now. 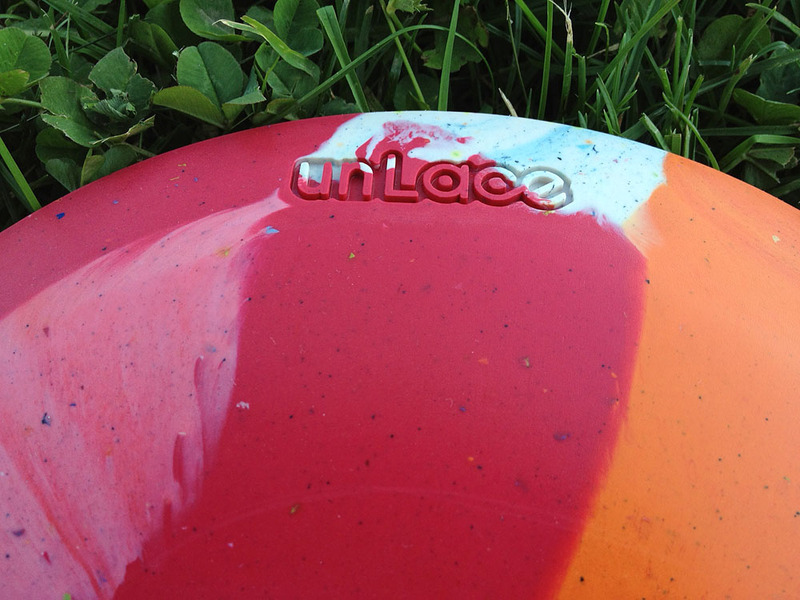 For the time being, though, the unLace receives the noodle arm stamp of approval. Extra distance awaits. When I started playing disc golf there was no such thing as premium plastic. 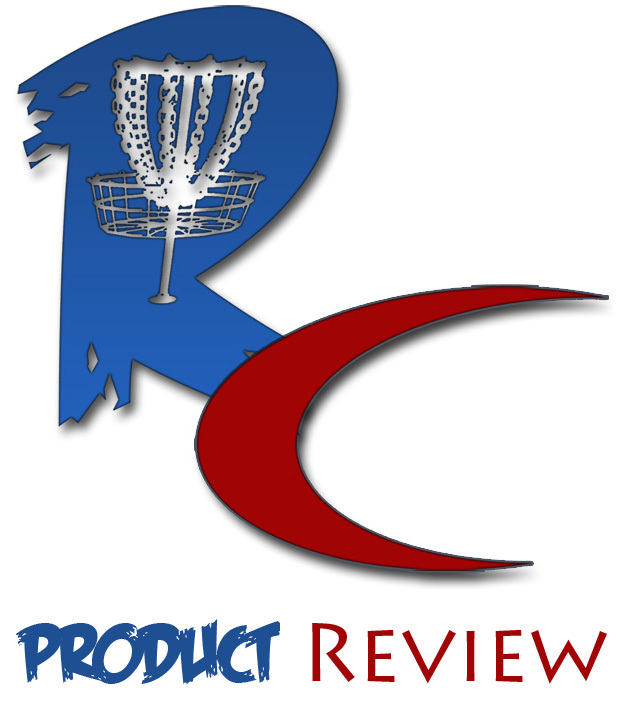 All discs were of the grade we now think of as standard (Innova calls its DX). For those who have thrown nothing but the “good stuff” (most players who have taken up the game more recently can afford the good stuff), you likely missed out on a great developmental tool. You see, low-grade plastic discs become steadily more understable the more they’re used and inevitably whack trees and other hard surfaces. So that favorite stable driver of yours would become a little less stable over time, then even more “flippy,” and finally it would want to turn over all the time. But smart, observant players wouldn’t throw it on the scrap heap. Yeah, they might replace it with a new, more stable driver, but they’d leave Old Faithful in the bag because, A, by then they’d become very familiar with its flight characteristics, and, B, it would be able to perform a neat trick — start off as a low or mid-height hyzer, then flatten or even turn over a ways down the fairway. If you’ve ever (as a right hander) played a hole that is a low tunnel shot for 150 feet, then requires a throw that turns right at the end, you know how useful this can be. Especially if your sidearm is less reliable. Which brings us to the Vibram unLace. For more accomplished, bigger-armed players, it’s a turnover disc that, when thrown with the proper touch and finesse, can be made to do all kinds of neat tricks. And, the best part is, unlike those old beat-in standard plastic discs from the pre-Ken Climo era, it’s made of durable (read: indestructible) Vibram rubber. That means it won’t change once you’ve gotten used to it and learned how to get it to do those neat tricks. I’ll admit that I’ve had it in my bag for a couple weeks now and still haven’t quite figured out the exact blends of power, hyzer, and line to get it to turn just when I want — but these things take time. 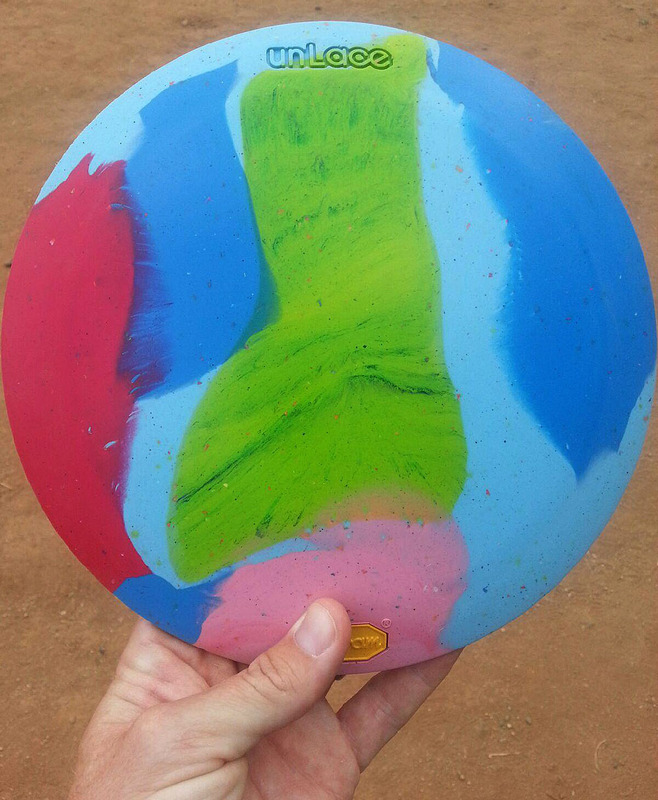 Another plus is the better grip that rubber brings, which is even more important when throwing touch shots. I haven’t had time to get to know the unLace like I hope to, but I’m a strong believer in the greater flexibility of understable discs when it comes to crafting mind-blowing, creative shots. I look forward to getting to know this baby and really learning what it can do. When I first started to use the original Lace, I noticed it was stable enough to drive straight with power then fade at the end and stop on a dime (little to no skip). Since I have a tendency to hit the more than occasional tree, I have scuffed the rim a little. It still flys true. In the last 6 months, either my form has gotten better or the disc changed to slightly under stable (more likely the former, because of better control of similar, plastic discs) and now flys like a slightly less stable Katana. If the un-lace is anything like a long Mamba I’ll replace all my under stable drivers(valc, road runner, Mamba) in favor of the distance and control. Plus maybe I’ll learn how to distance roller a driver finally. Thanks for the insight, liking vibram more and more.